If you’re looking for ways to expand your photography business, you may want to consider pet photography. You are certain to attract many animal lovers who want to capture memories of their furry family members. However, there are a few tricks to learn, because taking pet portraits is different from taking pictures of people. You’ll soon learn that every pet photography experience will be different. While some pets will stay posed and take direction, some high-energy animals will be constantly on the go. Be patient during shoots, and take the time to properly plan and prep. Knowing the essential techniques will help you take the best pictures of pets—every time. Pets are a big part of the lives of their owners, and animal portraits are in high demand. You’ll want to take as much care photographing a dog or cat as you would any family member. Many professionals find that learning through pet photography tutorials or pet photography workshops helps them gain the essential skills they require. 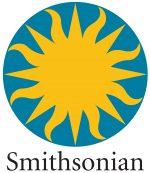 If you need to keep a close watch on your budget, start with free online photography courses. You can also conduct online searches and explore other photographers’ websites to get a wealth of pet photography ideas. As with any type of photography business, you also need to decide on your focus. Are you going to offer pet and owner photography? Or are you going to make your mark with creative pet photography? Do you plan to shoot in the studio or outdoors? Answering these and other questions will help you set the right direction for your pet photography business. Before any pet photography session, it’s essential to know the characteristics of the animal you’ll be photographing. Scheduling a consultation with the pet’s owner—either on the phone or in person—can reveal important insights. What should you aim to learn from these conversations? You’ll want to know the best ways to bond with the pet as quickly as you can to help make the photography session go smoothly. Are there any special treats or toys that the pet loves? Does he or she respond to certain commands? Make an effort to understand the owner’s goal for each session. Is a posed shot preferable—or one that shows the pet’s active and playful side? Are there any unique personality quirks that you should capture? Most pets have a range of moods and behaviors—and you should know which ones the owner wants to shine through in the photos you take. Also, plan to take some time with each pet before shooting photos. 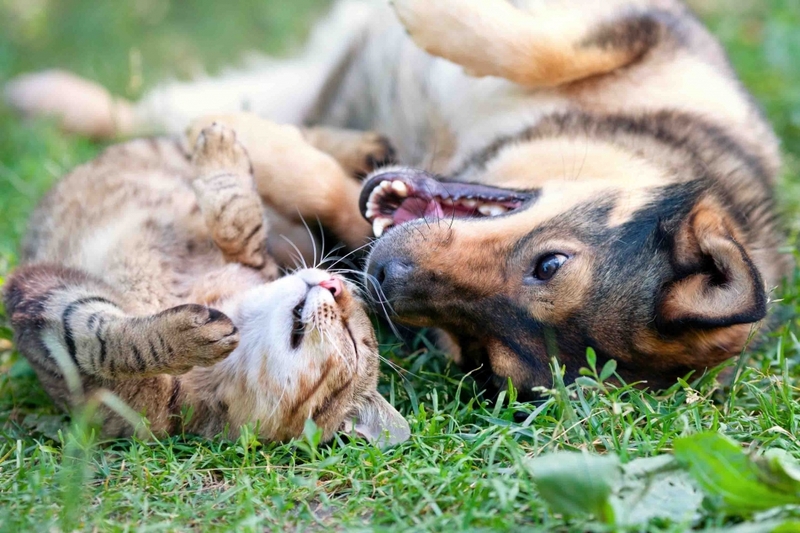 Pets can pick up on your feelings through your body language, so stay calm and friendly. You can use this upfront bonding time to get to know more about the special qualities of your subject. This perspective will help you take the best pet photo possible. What is the best pet photography lighting? Many people ask that question when they start exploring the field of professional pet photography. The good news is that you don’t need an expensive lighting set up to capture the most adorable pet portraits. Natural light is a perfect option. And if you need to make any adjustments after your shoot, you can learn basic Lightroom techniques to perfect every photo. 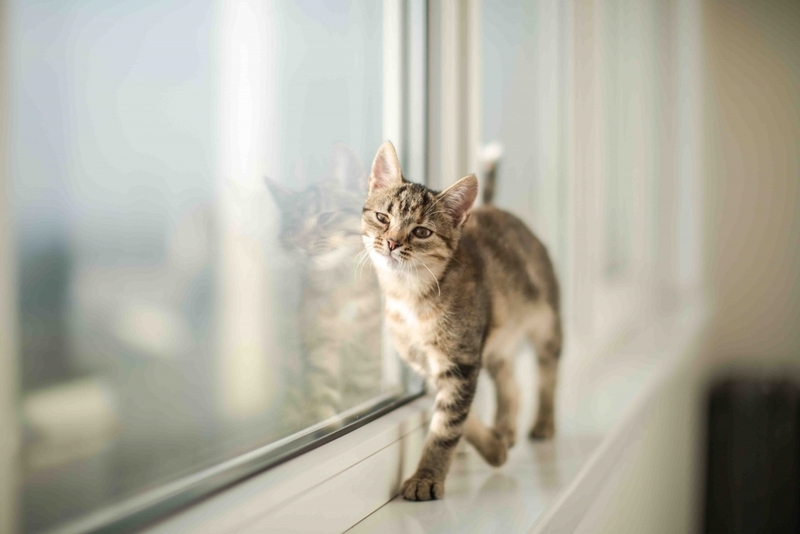 If you’re photographing pets inside, pick a space next to a large window—but make sure it’s not facing the sun. Window light creates a lovely soft glow that can highlight pets’ eyes and reveal their inner beauty. For outdoor pet photography, overcast days work best. When shooting on brighter days, look for locations with full shade. You are likely to find perfect shooting locations in your surrounding area—whether in the space just outside your studio or a local park. Some animals are easily startled by sudden bursts of light—so it’s best to avoid using a flash if possible. If you do need to use artificial light, start with a LED light at low-intensity and give the pet time to adjust to it. As they grow comfortable, you may be able to increase the lighting intensity. Be patient and let the animal’s behavior be your guide. 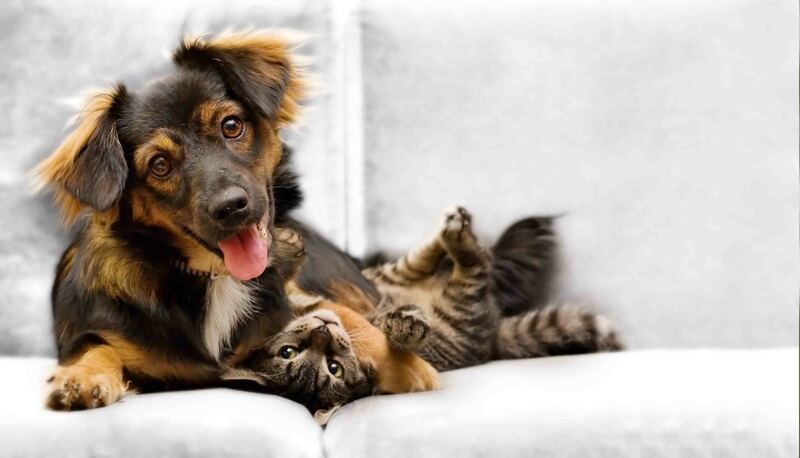 Pets come in all sizes—from tiny kittens and puppies to the largest dog breeds, like Great Danes and Irish Wolfhounds. Chances are, you’ll encounter all sizes and types of animals in your pet photography business. You’ll need to be creative and flexible in your shooting approach to take the best pet photos. If you’re looking for classic portrait-style images, shooting from a pet’s eye level is ideal. This may require you to sit, crouch, or even lay on the floor. But you’ll gain the advantage of accessing the unique personality of each animal and creating a one-of-a-kind dog or cat portrait. Other times, you may want to create more candid shots or even funny pet photos. Since you’ll be bigger than most of your subjects, you can shoot at downward from a high angle. This can cause some distortion that creates a comic effect on pet photos. With this one simple technique, you can achieve cute pet photography that brings a smile to pet owners’ faces. You can also shoot from a low angle to create an image of a pet surveying the world. This approach works especially well for cats who like to climb or jump on taller structures. Another idea: Try shooting from different distances. For cats, medium and close-up shots work best, due to their small size. You may be able to use wide-angle shots with dogs—especially larger ones or outdoor-loving breeds. In some cases, keeping some distance and using a telephoto lens may be necessary—especially if the pet is shy or prone to startling. Although you may find some pets will sit still, you should plan for them to be on the move during every pet photography shoot–especially if your subject is a puppy. You’ll find that many of the techniques of sports photography also work well in pet photography. This is no surprise since many pets are agile and active. When taking cat or dog pictures, use a fast shutter speed. Use your camera settings to select a shutter speed of at least 1/250. If you’re planning to take pictures of pets in motion or at play, you may want to use a faster shutter speed. Also, plan to use continuous shooting mode—which lets you take many photos in rapid succession. You may find this called burst mode or continuous high-speed mode on your camera. This feature is very common today—and a must-have for the best cameras for pet photography. Turn it on when you think the animal is ready to be photographed. Some photos won’t work at all—but you’re likely to get good shots too. Just remember to turn it off when you’re done so that you don’t clog your memory card with many unwanted photos. Unless you already have a bond with your pet photography subject, you’ll need to build rapport quickly. One of the best ways to do this is to have their favorite treats and toys on hand. Toys—and some treats, like dog bones—can make great pet photography props also. When you photograph dogs, offer meat-flavored treats or squeaky toys. Cats, on the other hand, prefer a taste of tuna or a feathered toy. Take a few minutes to bond and play with the pets to earn their trust and attention. If you’re working with a well-trained canine, you may be able to use treats to help set up your shot. You (or the pet’s owner) can guide the dog to “sit” and “stay” with a treat as a reward for good behavior. This approach can help ensure your subject holds the right position to let you capture the perfect dog portrait. 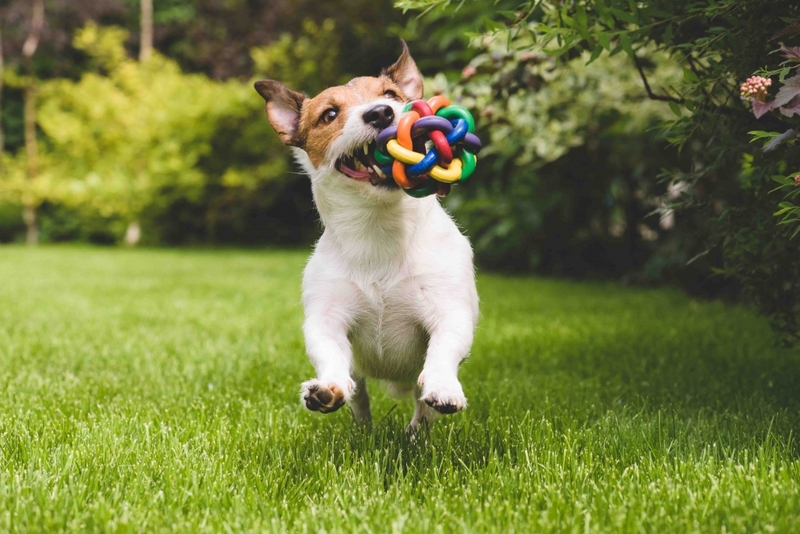 Dogs with energetic personalities, younger puppies, and many cats are easily distracted and may not respond well to commands—but the promise of a treat or toy can still be helpful. You can encourage them to look at the camera and evoke expressions that let their beautiful personalities shine through. 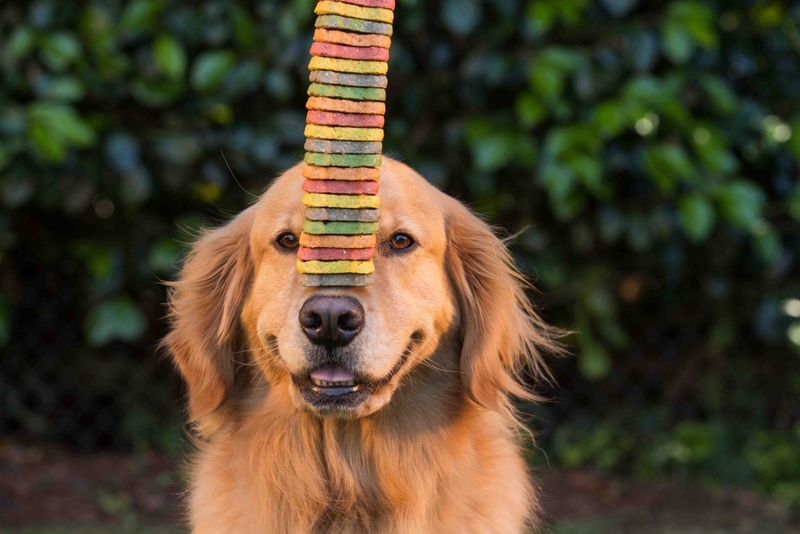 Throughout the photo session, you can use treats as positive reinforcement to praise pets for good behaviors. And don’t forget to offer pets a treat or playtime with toys at the end of the shoot to reward them for a job well done! Pet photography can be an enjoyable and lucrative area of focus for any photography business owner. Whether you’re just getting started or are an established professional, you can follow our five expert pet photography tips to achieve success. Always spend some time with pet owners up front to learn about their wishes for their pet photos. And understand the special quirks and attributes that make each pet unique. This is a must for cat and dog photography—and just as relevant if you branch out to photographing other beloved animals, like horses. In many cases, natural light—whether near a window outdoors or in a shady outdoor space—is perfect for pet photography. Since you don’t need to invest in an expensive lighting setup right away, you can reserve some funds for pet photography backgrounds and props. When shooting pictures of pets, try some different angles. Shooting from eye level is perfect for traditional-look pet portraits—but high or low angles can be just as appealing. And remember to plan for action shots, since many pets are often on the move. Use a fast shutter speed, along with burst mode and continuous focus to capture images of pets in action. Be sure to have a supply of favorite treats and toys on hand to gain the pet’s trust and attention. You can encourage the pet to stay still for portraits by using treats as positive reinforcement throughout every shoot. Once you start your pet photography journey, there are many possible directions to explore. You can focus on formal portraits or candid photos of dogs and cats–or you can offer pet and owner photography. And you can even promote animal welfare by volunteering to take pictures of pets at a local animal shelter and help them find new homes. No doubt about it, pet photography has huge potential. You can start small by taking pictures of dogs and cats in your own neighborhood to build your portfolio. Over time, you can share your work on social media and use the right hashtags to grow your following. 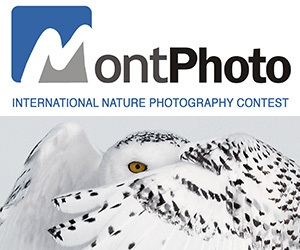 Enter pet photography contests to earn recognition for your skills. If you have a photography website, you can allow potential customers to request a quote or schedule a shooting session. There’s no better time than the present to get started in the in-demand field of pet photography field. 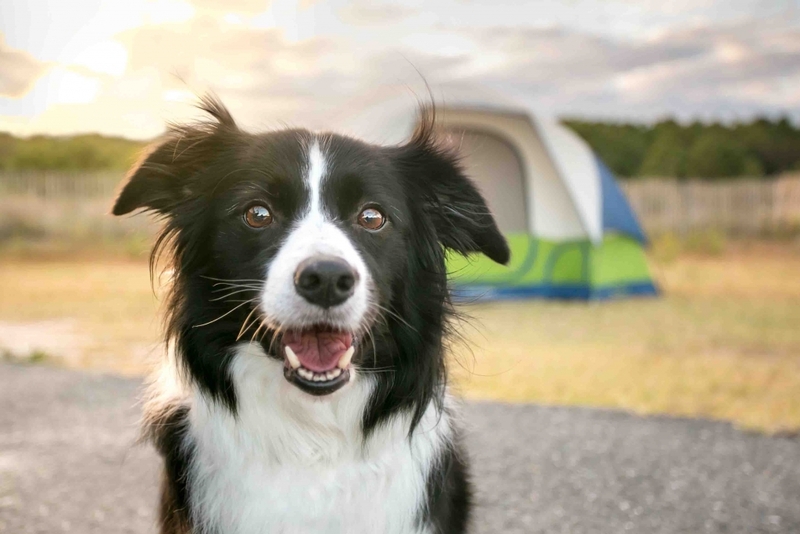 Just grab your camera and spend some time photographing your favorite four-legged friend. You’ll have fun—and learn some new photography skills along the way.